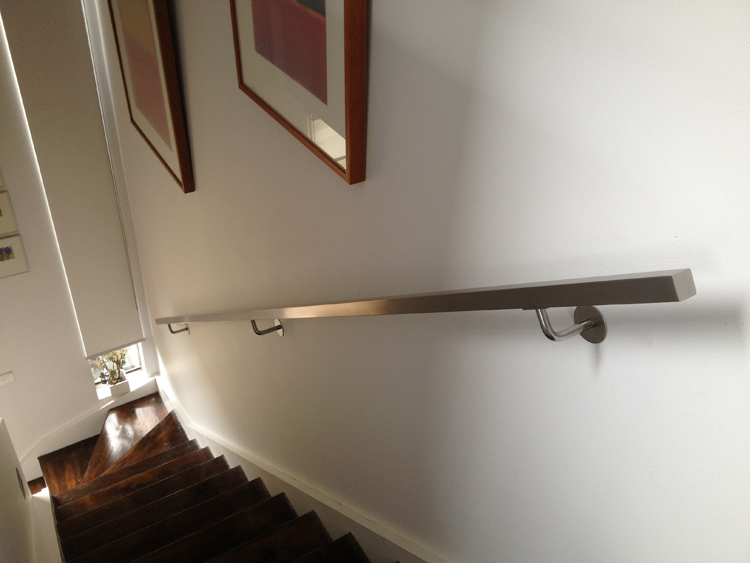 Stainless Steel Projects is the leading specialist in handrail systems for Melbourne. We have a fantastic design team that can create a custom handrail solution that will be perfect for your project. We can enhance the look and safety of your balcony, staircase, decking and patio with sturdy handrailing Melbourne residents recommend. We are proud to offer a fantastic range of handrails in a great variety of styles for all our Melbourne customers. Add beauty, value and security with a custom handrails Melbourne businesses are talking about. We don’t compromise on quality; we only use the best quality materials. One of the most important things to consider when choosing handrails is safety. All handrails designed and built by Stainless Steel Projects strictly adhere to Australian Standards. Our handrails give you the protection and safety you need without obstructing your views. Our experienced team can help you determine which handrail will be best for your project. From design to installation, we’re with you every step of the way. If you’re looking for the most sturdy and stylish stainless steel handrails Melbourne has to offer, look no further than Stainless Steel Projects. For high quality handrails Melbourne residents are talking about, call Stainless Steel Projects today and recieve a free quote and great advice.